Fits any shaft up to 1” (round/square) or 1 1/4” x 1” rectangular. The compact design allows the mounting bracket to stay on the pull-cart handle when it's folded away. Makes an excellent gifts/giveaways for golf tournaments or special events. The Coolers can be customized with your logo which makes an great corporate golf promotional item. Top Reasons why you need the Cool Caddy! You get the most convenient way to enjoy a cold beer while enjoying the great game of golf! Your hands will be free so you can simultaneously eat a Smokey and have an ice cold beer while you pull your clubs and enjoy the great game of golf! You can keep 12 oz cans frosty cold in the cooler or use the 12 oz insert for your favorite hot or cold beverage! You can attach it quickly and easily to virtually any golf pull cart or power cart with no tools required! 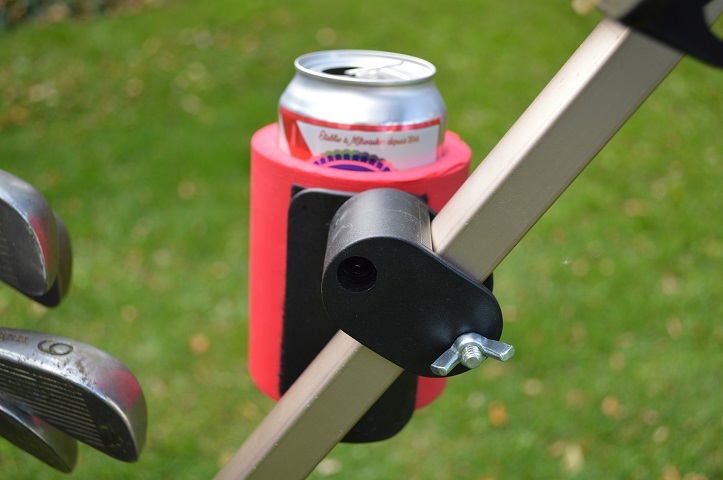 Your beer swivels to keep it upright at all times and always close at hand! You can fit it on virtually any golf pull cart and it folds away neatly when your done! You will find that it may actually help take strokes off your game! 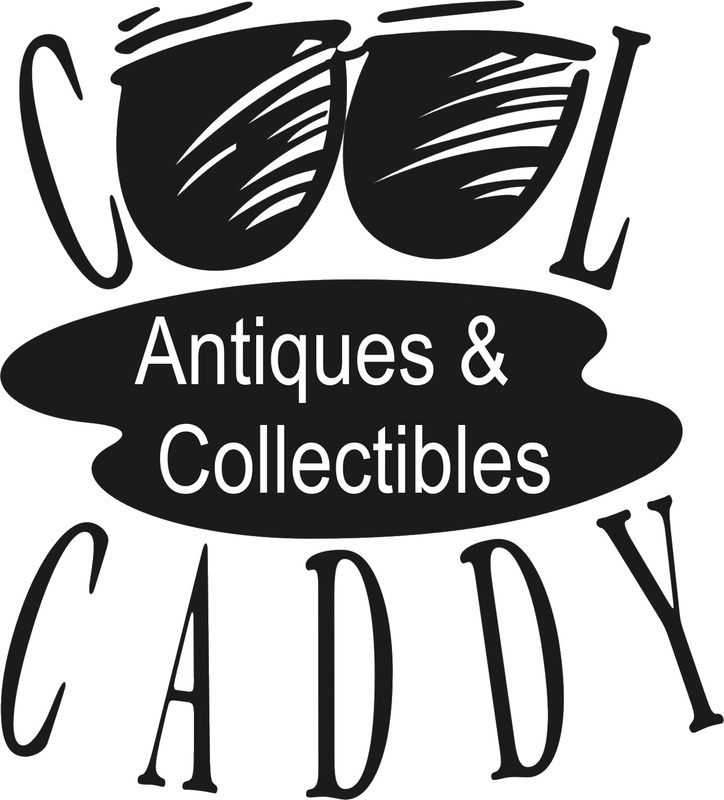 You won't find the Cool Caddy in Retail Stores! The patented Velcro design makes it easy for you to attach and remove and the cooler when your golfing! The coolers come in an assortment of colors to match any golf bag. It can be used for several other applications (boats, lawn mowers, strollers or just about anything that moves with a bar to attach it to). 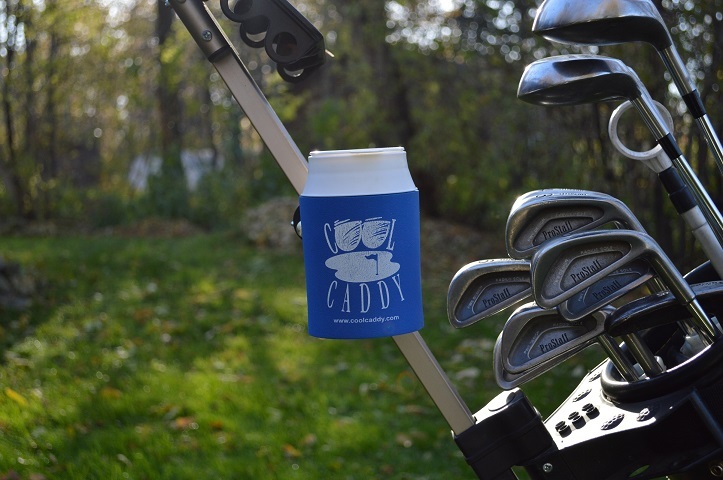 The Cool Caddy makes an excellent stroke saving gift idea! The Cool Caddy can pay for itself in only a couple of rounds. Other golf beer Caddys on the market don't even come close! After You Get Your Cool Caddy! You won't find yourself realizing that you forgot your last cold beer, as you look way back down the fairway (it can be argued that this is a beneficial cardiac activity). You won't ruin the momentum of perfect shot (or waste money) by accidentally knocking over your ' strategically' placed beer as you grab your cart to proceed to your next shot. For less than the cost of a few beers the Cool Caddy pays for itself in only a couple of rounds. 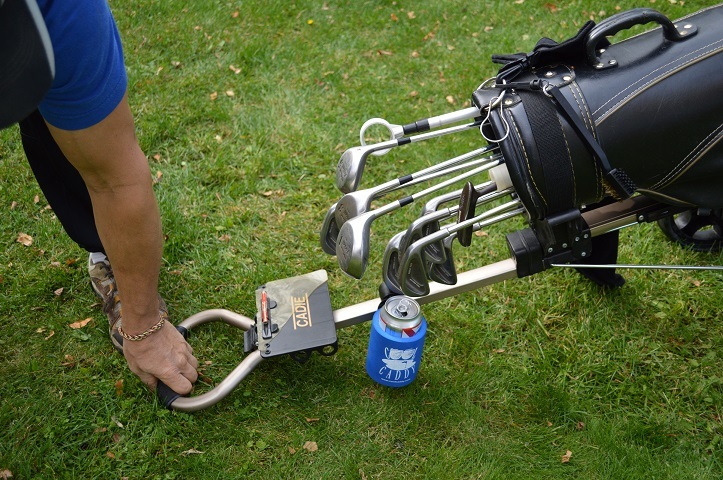 The Cool Caddy keeps your beer secure while you play! 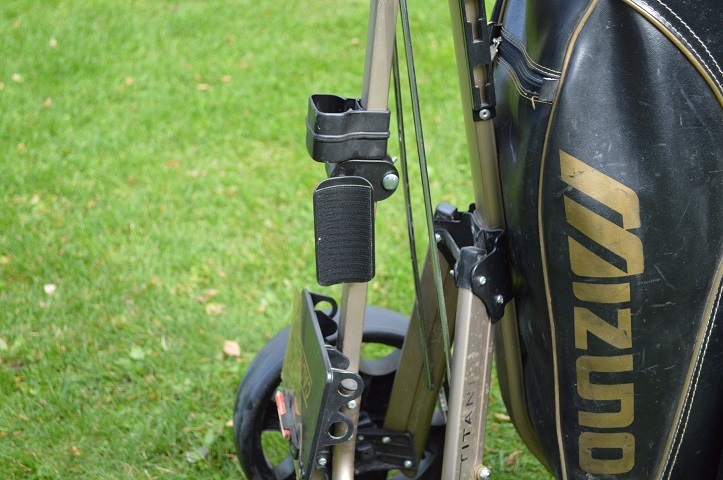 Attaches quickly and easily to virtually any golf pull cart or power cart with no tools required! The Cool Caddy keeps your beer from spilling. Remove the Cooler an it folds away neatly when your done!